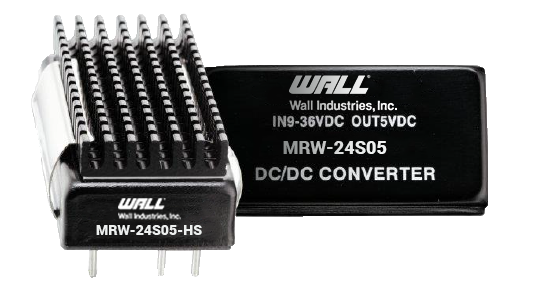 The MRW10 series of DC/DC converters offers up to 10 watts of output power in a compact, industrial standard package. This series consists of single and dual output models with ultra-wide input voltage range. Each model in this series has high efficiency, no minimum load requirement, as well as over load, over voltage, and short circuit protection. This series has UL/cUL/IEC/EN 62368-1 (60950-1) safety approvals and CE markings. Heat sink is also available. Add “HS” to model number to indicate Heatsink. 3. We recommend protecting the converter by a slow blow fuse in the input supply line. 5. Natural convection is about 20LFM but is not equal to still air (0 LFM). 6. 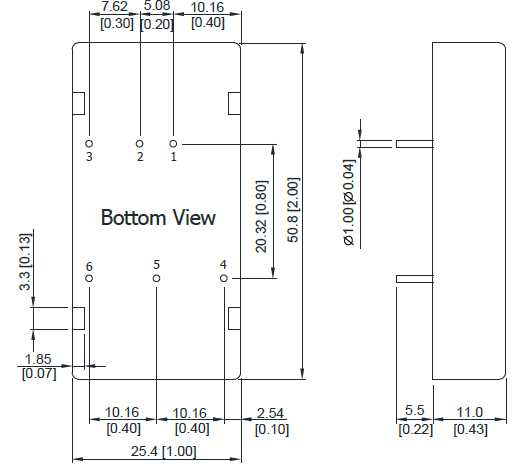 To meet EN61000-4-4 & EN61000-4-5 an external capacitor across the pins is required. 110V In: CHEMI-CON KXG Series 220µF/250V.